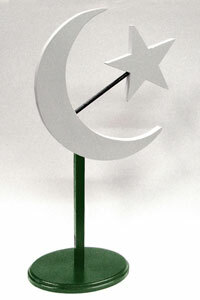 Welcome to Muslim Symbol Website! 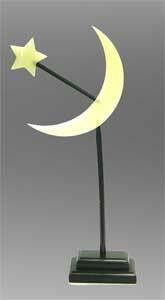 The Lobby Version of the Muslim Symbol is a customized version. The most popular version is the wood version which has a multiple layers of paint to give it a smooth and a long lasting finish. Lobby Version have a base to the top of the crescent height of between about 2 (two) feet to about 5 (five) feet. Please contact us with your specific needs and we will provide a price quote and delivery schedule to meet your specific needs. 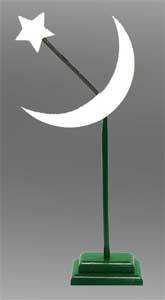 The Crescent and Star are made of wood and are pure white. The base, stand and the connector are made of wood and are green. 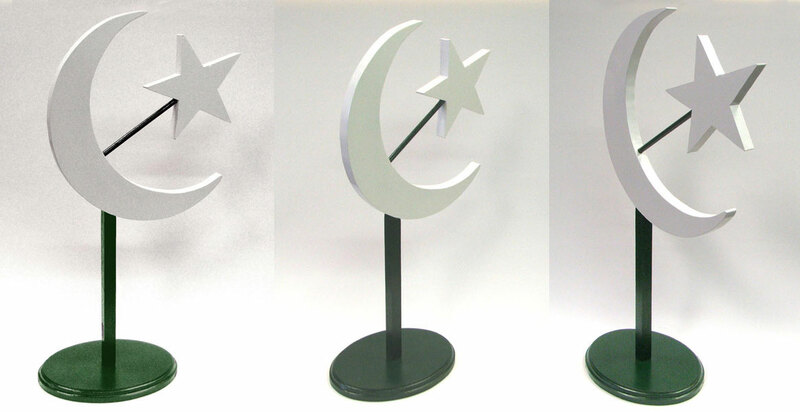 The Crescent and Star are made of solid plastic and are pure white. The base, stand and the connector are made of wood and are green. 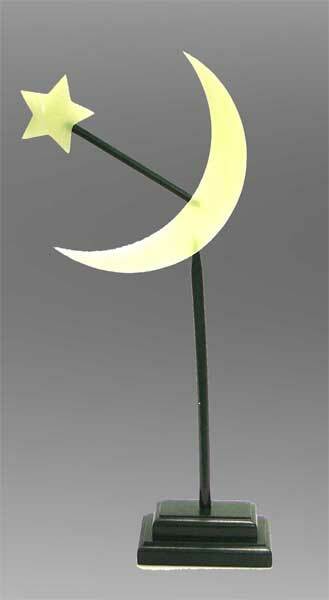 The Crescent and Star are made of solid plastic and have a light greenish shade and they both Glow-in-the-Dark. The base, stand and the connector are made of wood and are green. Each Desktop version is $11.00 each plus $4.00 for shipping and handling. But, if two or more are ordered at the same time then the cost is $9.00 each plus $3.00 for shipping and handling for each. For quantities of 10 or more please contact us for your special discounted pricing.